This internet resource aims to introduce the world-wide scientific (and not only scientific) community to the biological diversity of Georgia (and, to certain extent, the Caucasus ecoregion). The resource includes the lists of the species from different taxonomic groups ever recorded in terrestrial and freshwater ecosystems of Georgia, arranged in the taxonomic hierarchical system, the position of Georgian plants and animals concerning the evolutionary tree, and basic information on the individual species and higher-order taxa, including verbal descriptions of key ecological features and range, systematic remarks, bibliographies, images, and distribution maps. Of course, completing the information for thousands of species is a long-term task, and even a permanent one - taking into account eminent process of the gaining new information, nomenclatural changes, or just appearance of people interested in one or another taxonomic group. For the most of the species, only checklist-type information is provided at the moment. Some groups are covered better then the others - e.g. reptiles and amphibians, orchids, or carabid beetles - thanks to the team members with a professional interest to these groups. 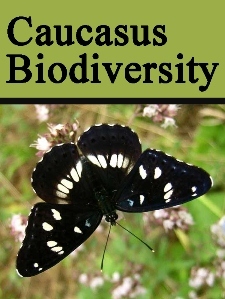 The website is a part of a long term project developing the database on the Georgian Biodiversity executed by the Center of Biodiversity Studies of the Institute of Ecology, Ilia State University, Tbilisi, Georgia. In the year 2005, it was Financed by the Georgian Ministry of Education and Science, and in 2007 the development of the site was additionally supported by Georgian Biodiversity Program sponsored by BP. Currently, the development of the site is supported by Pan-European Species Inventories Project (PESI). We expect a visitor to understand that the website is a permanently developing internet resource and not to be too severe for lack of information for many species and higher-order taxa, or inconveniencies in the taxonomy which, for the most of the groups of plants, invertebrates, and fish is just copied from the available checklists (the references are given on the respective pages). Our team is mostly comprised by the research students, although includes experienced biologists as well; contributions from outside are highly welcome. All contributors are indicated in the bottom of the corresponding page. Copyright on the photographic pictures belong to the authors indicated below the picture.